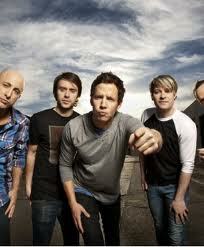 Simple Plan have released a special video for their hit single “Summer Paradise” from the recent album Get Your Heart On! As a dedication to the Australian fan base, Simple Plan have compiled a montage video of their recent Australian Tour. You can check out our review of Get Your Heart On! by clicking HERE. Give us your thoughts on the new video and if you like what you hear, show your support by heading over to the band’s merch page and picking up the album! Video available after the jump!